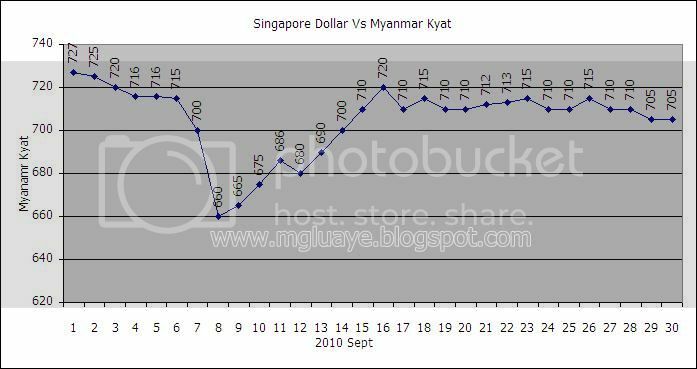 For the month of September 2010, the average exchange rate between SGD and Myanmar Kyat was 705.1667 Ks/SGD (30.6398 down from previous month average rate), highest was 727 Ks/SGD on 1st of September and fell lowest until 660 Ks/ SGD on 8th of September. 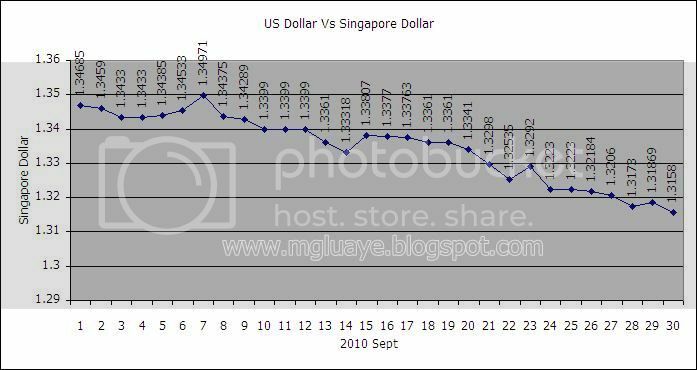 For USD vs SGD, the average rate for the month of September was 1.3346 SGD/USD (0.0207 down from previous month average rate), highest 1.3497 on 7th of September and lowest 1.3158 on 30th of September. I am just writing to let you know what a awesome encounter our princess enjoyed viewing your web page. multifaceted things. You really surpassed our expectations. I appreciate you for presenting those beneficial, dependable, revealing and easy tips on your topic to Sandra.